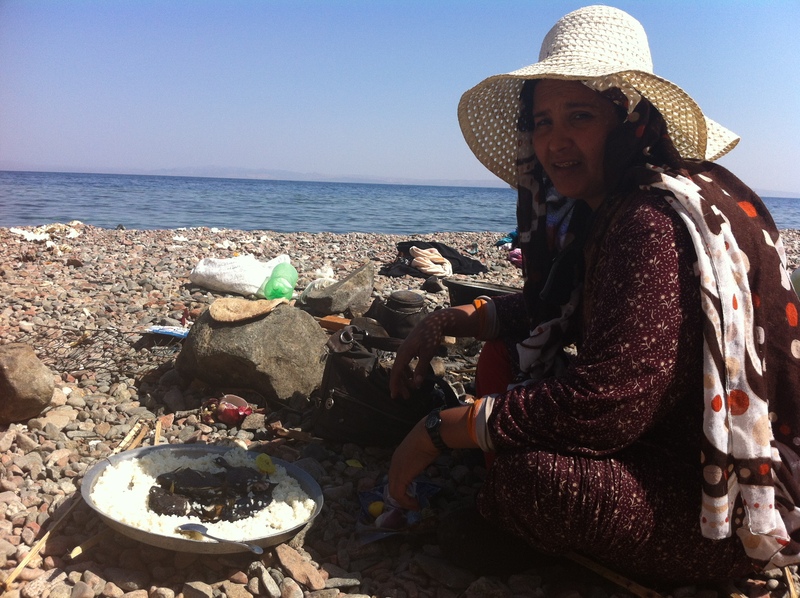 This is a kind of photo-diary about life in the South Sinai, the random things that happen and people you meet. Enjoy! 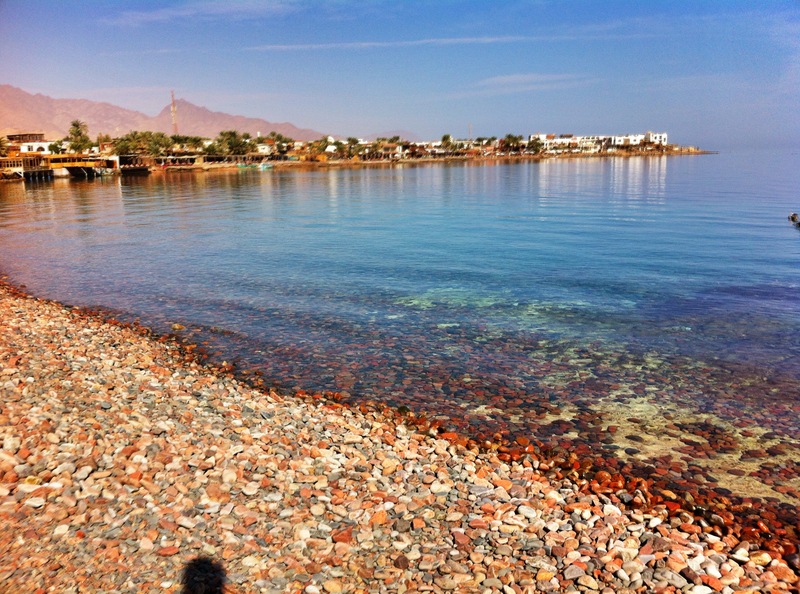 It was a rare windless winter day today, 22 Feb 2014, so I went for a bike ride out of Dahab and down the coast. The beautiful turquoise water kept drawing me further and further down the sandy road, past the Bedouin arishas, to a large, deep bay. Bedouin men were taking advantage of the conditions to snorkel for fish – and so were the Bedouin ladies. As I cooled my feet in the clear water, a lady emerged from the sea, dripping in her gallibeya, scarf and snorkel “shiribi shay!” she called (drink tea). Well, it would be rude not to! I spent the afternoon with her and her 2 friends, on a girls fishing trip – we had tea on the fire she made, and then tropical fish and rice for lunch. The day became so hot I had to jump in the sea with all my clothes on to cool off. I love the randomness of life here – you never know who you will meet and how your day will pan out. Dinner in the desert, a night under the stars and the food cooked on a fire. These are one of the things I love to do here! 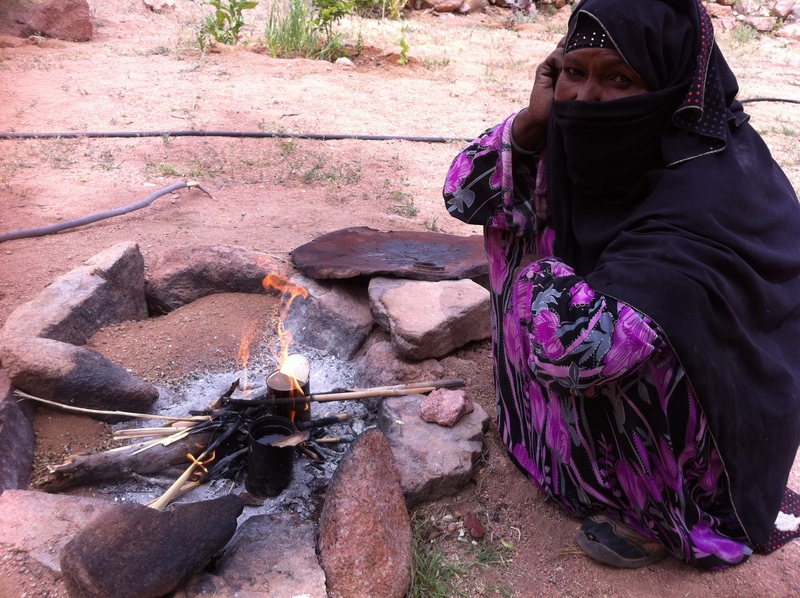 Usually the Bedouin men make the meal, while the wives bake bread and tea. They all love to show off their cooking skills in front of their guests! 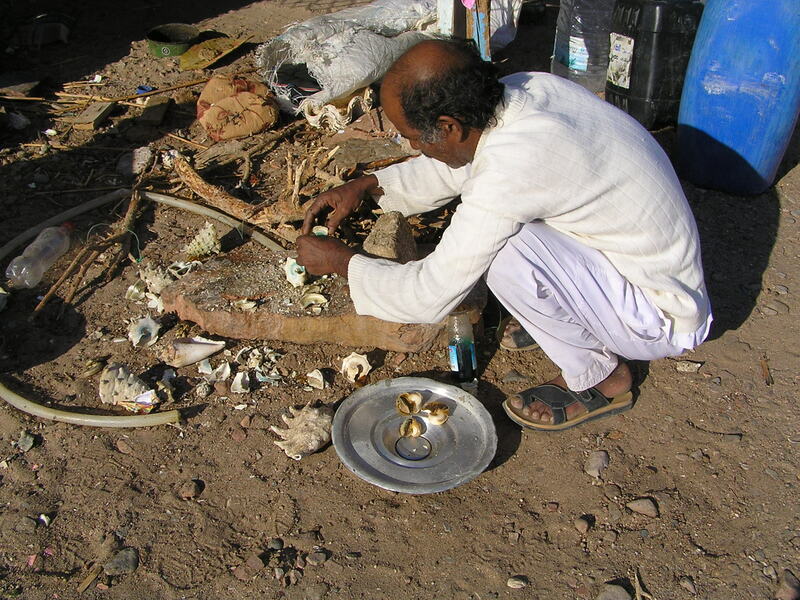 The coastal Bedouins live off the sea – nearly every day they eat fresh, colourful, tropical fish caught by someone in the family. The fish is served heaped on a large bed of rice, and we all kneel around the dish and scoop mouthfuls of rice and fish out with our hands. Sometimes, to show their hospitality they pop a lump of fish and rice into your mouth, and they pick off the best pieces of fish and toss them over to your side of the dish. I love this communal eating and I love eating with my hands, the food tastes so much better! I have to admit though…at first I found it a bit unusual to be eating coloured tropical fish, because they reminded me of the fish in my of my cousin’s aquarium…it was like eating someone’s pets…hmmm! My Bedouin neighbour waxes my legs for me in the traditional way, using homemade sugar wax. It costs about Euro2 to do my lower legs, I mostly do this to support her, and it is an excuse to visit and drink tea :)…not that I need an excuse, you are always welcome at a Bedouin house! This supermarket cracks me up. Bedouins were nomads in the desert up until around 40 years ago, but drought and the government has forced many of them to settle in towns. This supermarket is at a traditional Bedouin fishing spot. 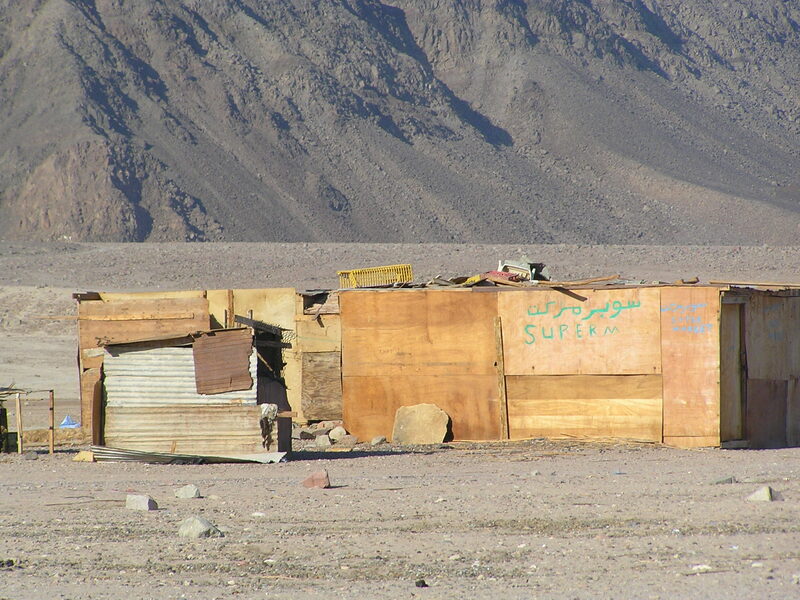 Since it rarely rains, makeshift shacks act as decent shelter (read holiday house!) to sleep in, when the Bedouins come here for a fishing trip. As you can imagine, the supermarket had only a few basic things inside! 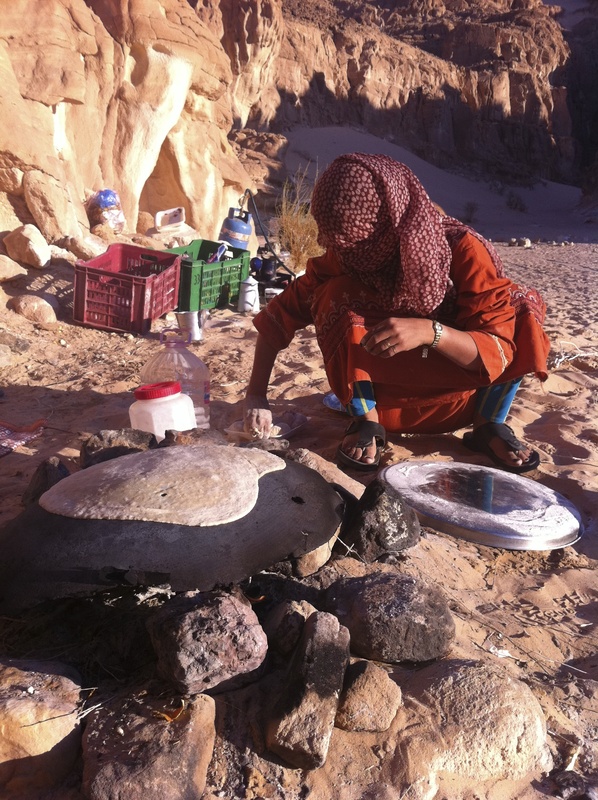 Flat Bedouin bread made fresh on the fire…mmm! 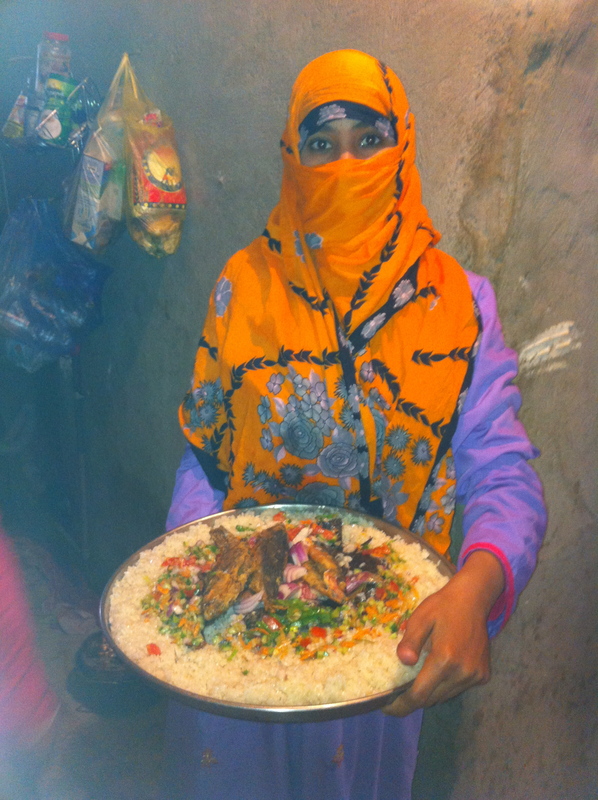 It is called Farashia, and the Bedouin ladies make it every day in the afternoon to eat with their dinner. Driving around in the desert, we found these adolescent Bedouin girls in the shade of an Acacia tree, making a cup of tea. They had gone out herding their goats all day in the desert – the goats feed on all the delicious herbs which grow, and make their milk taste great. The herbs are also used as natural remedies and a few leaves make a cup of sweet, black tea very aromatic! One of my favourite-smelling herbs is this “rabbel”. I always take some home to make my flat smell nice! 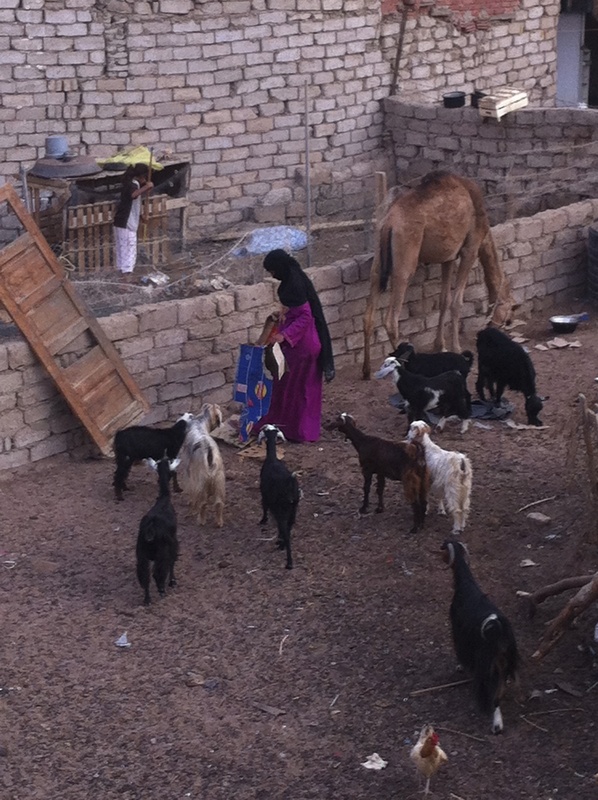 We picked some rabbel and took it to this nomad family living in the desert for their goats and camels. 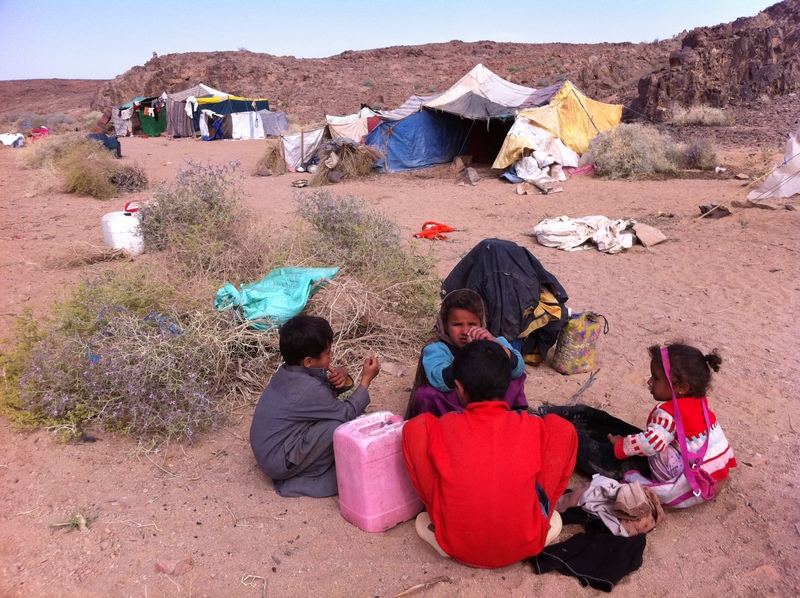 It is a harsh life living in the desert, but the desert people are warm, hospitable and absolutely love visitors! 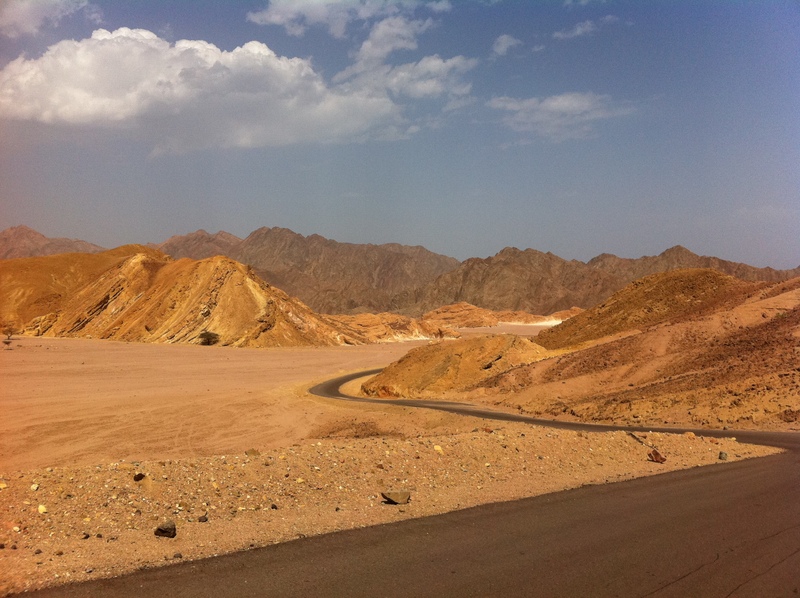 The colours of the rocks and mountains in the Sinai desert are ever-changing and never cease to amaze me. So beautiful. 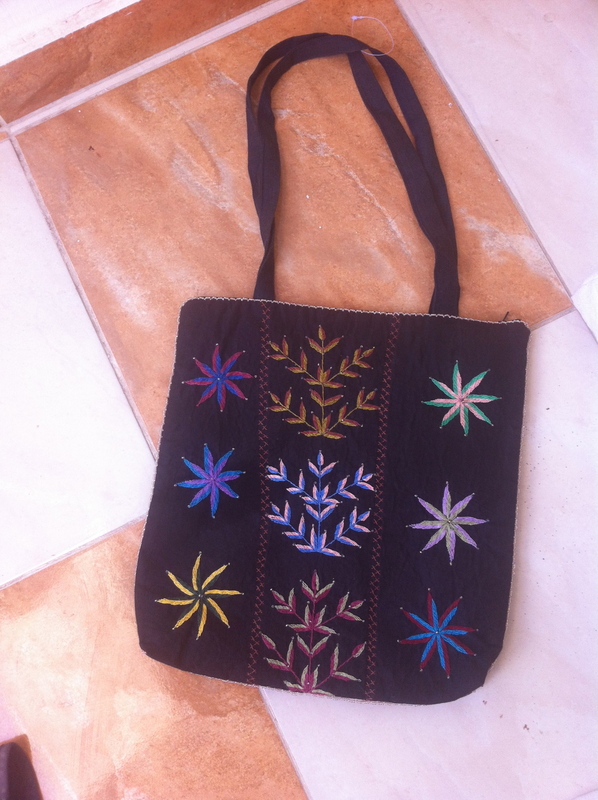 The Bedouin ladies of St Catherines are known for their beautiful embroidery and beadwork. I visit them and buy bags off them for friends. It is always hard to choose from the amazing selection! 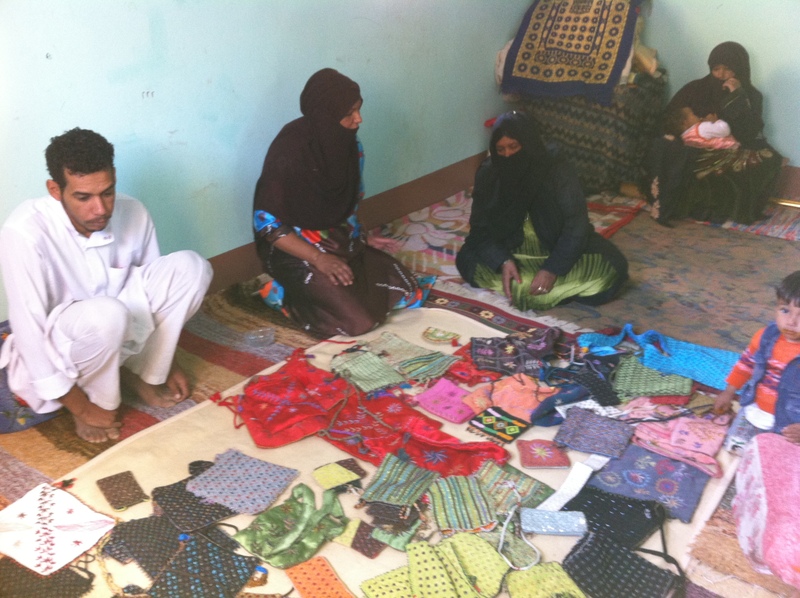 For most women this is the only meager source of income they can make for themselves, so for me it is important to support them, and also encourage them to keep up their traditions. 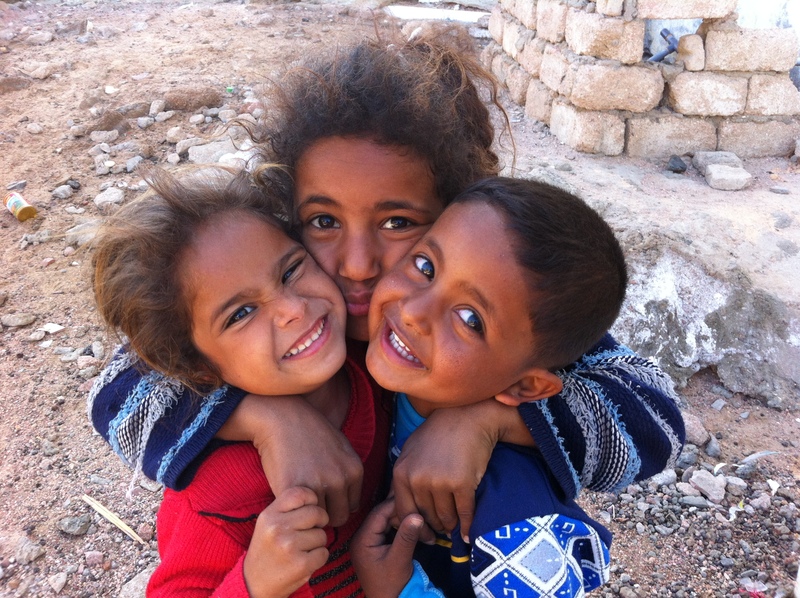 Bedouin kids…wild little monkeys that run around free in the dusty streets and on the beach all day and night! They love befriending foreigners, because if your luck is in, you might get some chocolate or ice cream ;)! 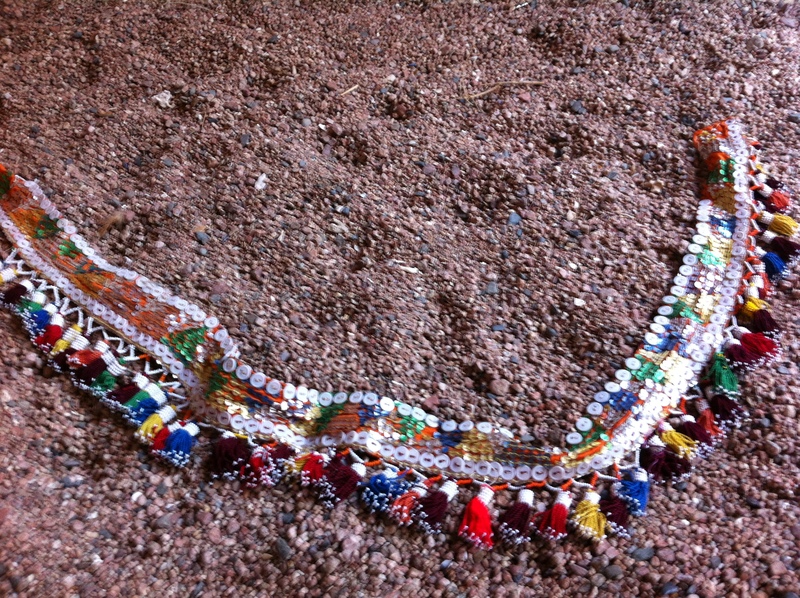 This is an “arisha” – you find them dotted along the coast. Bedouins use them for shade when they go fishing. It gets hot out there! Old Bedouin ladies of the desert…I can only imagine the changes these ladies have seen. I love spending time with old Bedouins, they are from an era that has all but disappeared. Life has changed immensely since they were born out in the desert in a tent somewhere. Everything from their traditional clothes and jewellery, to their old way of life has changed with the coming of tourists and the settling of the nomads. I wish I could speak more Arabic to talk about days gone by! 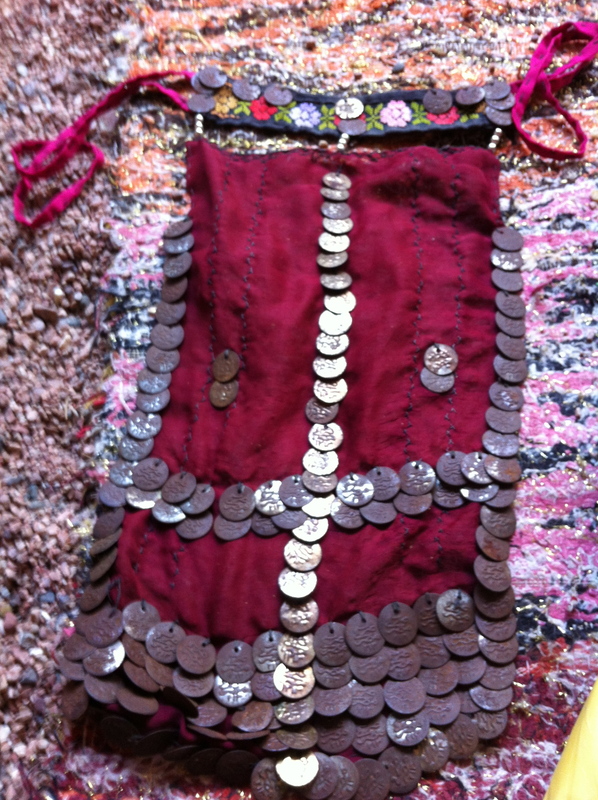 Bedouin women used to wear beautiful beaded belts, headbands and these “niqabs” decorated with coins to cover the face. This tradition has disappeared now. One of my favourite things here is spending time with my Bedouin girlfriends. They just make you feel so welcome, so at home – you feel like you are part of the family. Bedouins will always look after you and shower you with kindness. 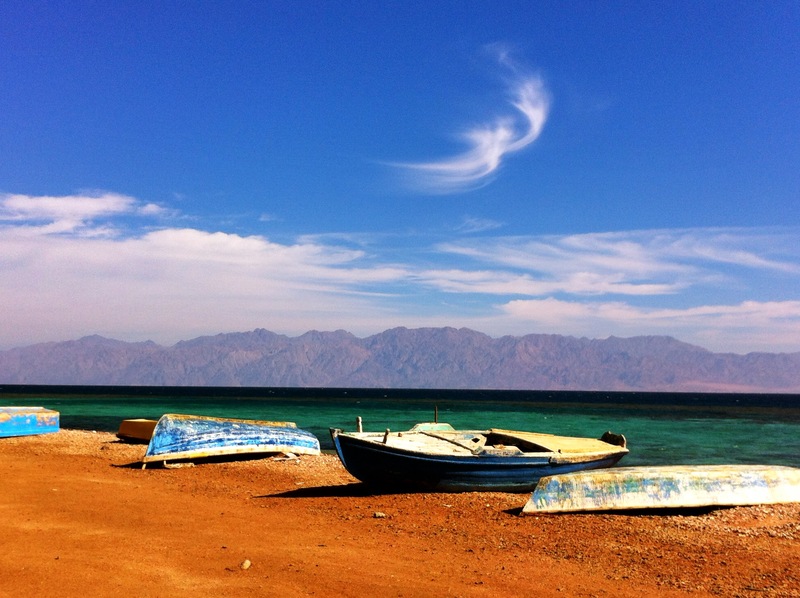 And I’ll finish up with a few pictures of the beautiful Sinai coast, with it’s blue, tropical waters. It is a very special place, this wonderful Biblical land! Love it, love it, love it. Love reading about your adventures in your new-found homeland. Cheers, Linda – sitting here in the west coast Canadian rain but soon to be in Mexico. Yeah! 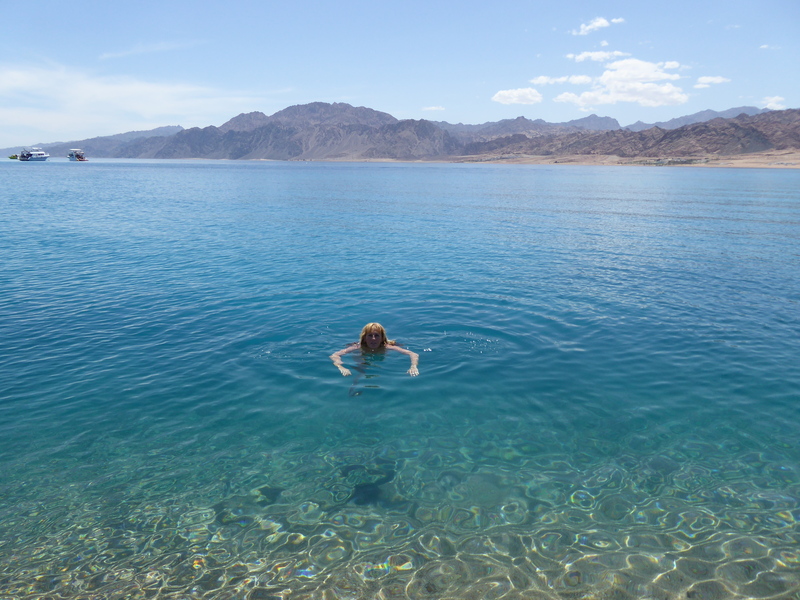 I only learned about Dahab 2 days ago and it has really caught my eye. Would you consider it a safe place for an American Expat to live through the winter? What is is like in the off season? Would it still be possible to take windsurfing classes? Does the town empty in the winter or is there still a decent population? If I only know english can I get around? Do you think I could find arabic classes? 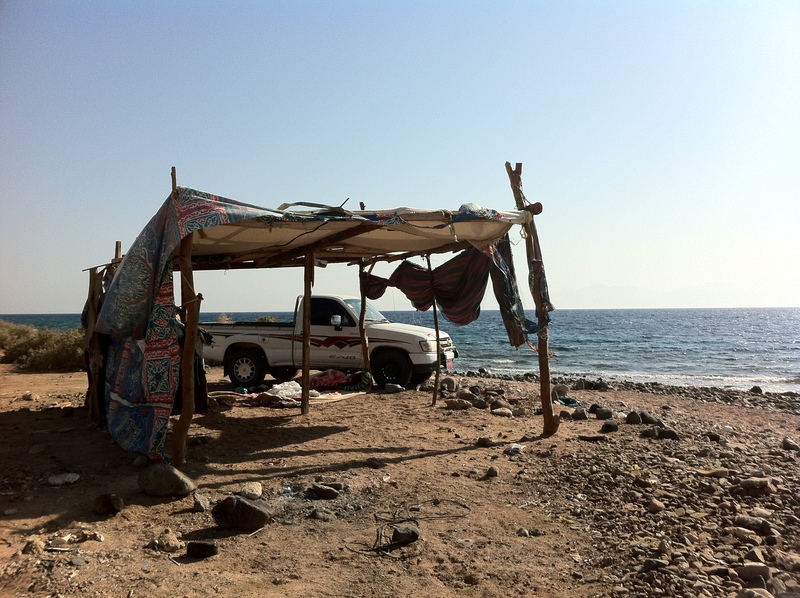 Hi Kirby – Dahab is a safe as place as any – probably as safe or safer than New York or Chicago…or anywhere really! It is pretty quiet there at the moment due to the lack of tourists, be prepared for warm days, chilly evenings, and some quiet time. Yes, you can still windsurf. It doesn’t “empty” in the winter it is just empty in general these days since the revolution, travel warnings etc. English is the local language due to the tourists. Yes, you could find Arabic classes, at Blue Beach hotel there is a nice teacher, Madame Souad. I’d love to move there too. Do you have any idea what the monthly cost for a modest living family of four? Thanks. Fascinating read! Flats range from about Euro200 to Euro500 a month depending on where it is and what it has in terms of furniture. I don’t know how much your kids eat but you could live quite cheaply – maybe another Euro300 a month for food….You should come and try it out for a couple of months, and if you like it, stay longer….